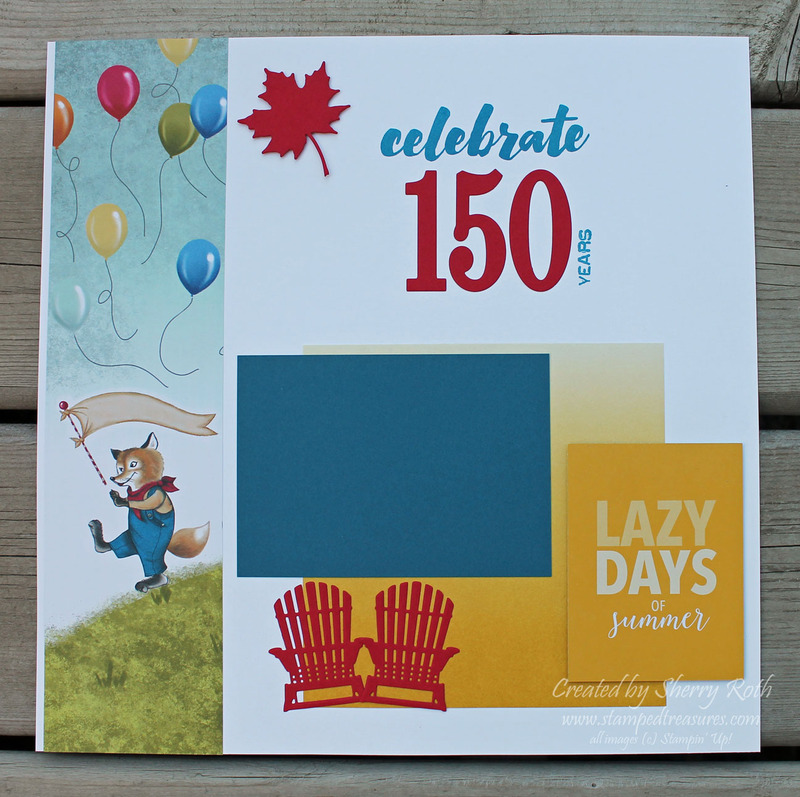 Sherry"s Stamped Treasures: Canada Celebrates 150 Years! 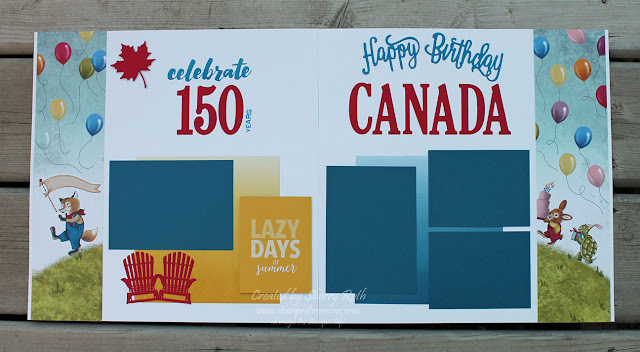 Do you have any fun plans to celebrate Canada's 150th birthday tomorrow? We don't really have too many plans but I will definitely make a point of snapping a few photos to add to this adorable layout. I pretty much CASEd this layout from one my downline Christine Alward created, just made a few minor changes to make it my own. It is SUPER adorable! The Birthday Memories dsp really makes this layout! But there's lots of other products that work along with it to pull it together. I've included a complete list below. Tip: if you want to use the Happy Birthday framelit as two separate words, you need to cut two of them. To separate the words you end up cutting into the other word. 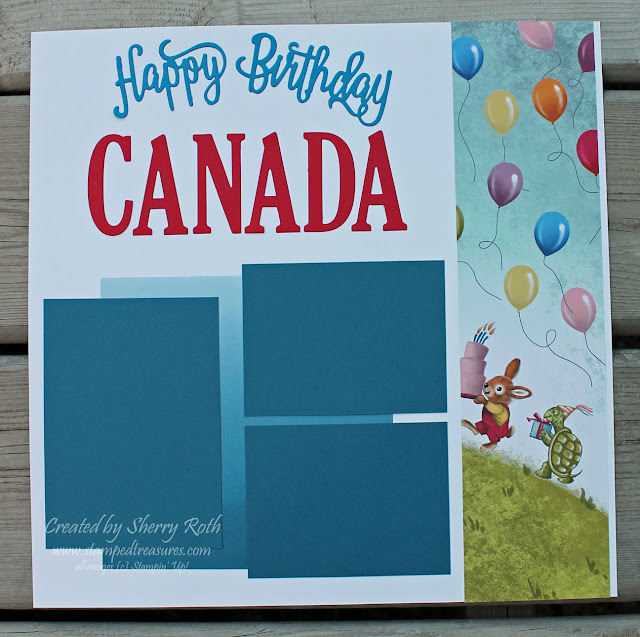 Hope you have a FABULOUS day celebrating Canada's 150th birthday!